Sega announced the developers behind the upcoming Thor and Captain America video games for the 3DS are the same as those behind the Wii versions. Thor: God of Thunder was developed by Red Fly Studio, known for games such as Star Wars: The Force Unleashed II and Ghostbusters II: The Video Game for the Wii and PlayStation 2. 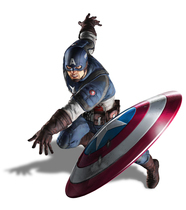 Captain America: Super Soldier was created by High Voltage, best known for their Conduit games. The new flame red colour is on its way. 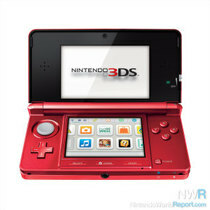 Nintendo Australia has announced that they will be launching the new flame red colour for the Nintendo 3DS on September 22nd, 2011. Nintendo Australia have also confirmed that both Super Mario 3D Land, and Mario Kart 7 will be arriving in Australia for the holiday season. Check your 3DS. You might have some free games waiting to be downloaded. The 10 NES Ambassador games, revealed yesterday, are becoming available in North America today. However, it appears they might be slowly rolling out throughout the day. Gamers in Japan can download their Famicom ambassador titles a day early. The Famicom titles for the Nintendo Ambassador program are currently available for download in Japan. Originally set to be released on September 1, the titles have made a surprise appearance on the eShop a day early. The second Game & Watch Collection for the Nintendo DS has been rated by the Australian Classification Board. Over the weekend, a listing for Game & Watch Collection 2 was added to the Australian Classification Board website, suggesting a possible release for the Nintendo DS game in Australia. The second collection, which contains Octopus and Parachute, is already available in North America and Japan through Club Nintendo. The quirky 3DS rhythm title makes its way to Western shores in 2012. Rhythm Thief & the Emperor's Treasure for Nintendo 3DS has been announced for North America and Europe, with a release date of early 2012. Nintendo of America finally earns some good will. Professor Layton and the Spectre's Call ('the Last Specter' in North America) will not include Professor Layton's London Life, the Brownie Brown-developed RPG that was a lengthy post-game bonus in the 2009 Japan release. Yesterday, Nintendo of America confirmed that London Life would be unlocked from the start in the North American release of the game. It came out on consoles, and now it's in 3D, brother. WWE All Stars is coming to 3DS on November 22, the same day that WWE '12 hits Wii, Xbox 360, and PlayStation 3. It will be a 3D-enhanced port of the game that originally came out on home consoles in March. WWE All Stars on 3DS will also include two modes and 13 characters that were only available as downloadable content for the 360 and PS3 versions. Nintendo finally decides to bring Excitebots: Trick Racing outside of North America. Excitebots: Trick Racing is coming to Japan more than two years after its original release in North America. Excitebots: Trick Racing, releasing in Japan under the name, "Excite Mou-Machine," will not see a retail release in Japan but rather be available to Nintendo fans through Club Nintendo. Wii owners can redeem 1,000 stars for a copy of the game. In addition to the previously known games, five more have been revealed for the first time. Update: Nintendo of America confirmed the list of North American games over Twitter, substituting the similar NES Open Tournament Golf for Mario Open Golf. Nintendo has revealed the ten NES games players can download as part of the 3DS's Ambassador program. 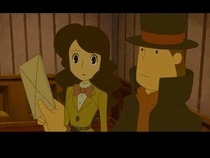 Professor Layton's London Life, a bonus RPG, will be unlocked from the start for the North American version. Professor Layton and the Last Specter, the fourth in the series and last on DS, is coming out in North America on October 17. The game, which came out in Japan in late 2009, is actually a prequel, kicking off a new trilogy of games that detail the origins of Layton and Luke's relationship. Nintendo will publish the 3D-enhanced version of Tetris. Nintendo will publish Tetris: Axis when it comes out on October 2. 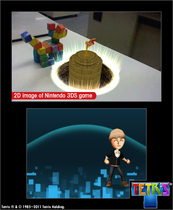 Previously reported as being published by Tetris Online, the game uses a variety of the 3DS' features, such as SpotPass, augmented reality, and single-card multiplayer. You can read our impressions for more details. Also, an alternate bundle including the game, CD, and the golden Wii Remote Plus will be available for $69.99. Nintendo revealed that a special The Legend of Zelda 25th Anniversary Symphony Concert CD will be included with every first-run copy of The Legend of Zelda: Skyward Sword when it debuts on November 20. 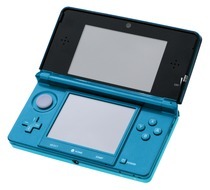 Atari and n-Space are bringing the popular PC series to the Nintendo 3DS. In the latest issue of Nintendo Power magazine, it was announced that Atari would be bringing the RollerCoaster Tycoon series to the Nintendo 3DS. Several pieces of artwork suggest that the sequel is in the development process. A sequel to Disney Epic Mickey is in the works, indicated by details and several pieces of artwork found on a Disney online marketing survey. 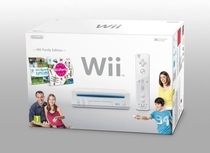 For the holiday season, the retail price of the Wii bundle could be as low as £80. The upcoming Europe-only bundle may be available for as low £79.99 ($130). These titles are already out in Japan, but the eShop provides confirmation of their impending arrival in North America. 3DS Virtual Console in North America is going to get three games richer soon, as Pac-Man, Golf, and Catrap are all listed in the Coming Soon section of the eShop today. All three Game Boy titles are already out in Japan, and Pac-Man came out in PAL regions on August 4. When paired up with the North America delay to 2012, this is logical. Metal Gear Solid: Snake Eater 3D is coming out in winter, according to a recent Konami presentation in Japan. 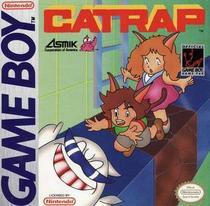 Recently, word came out that the game was being delayed until 2012 in North America. The remake features 3D graphics, a new photo-camouflage mode, and some tilt controls. Check out our impressions from E3 2011 for more on the game. The rocky sales start of the 3DS is the reason why we're not ghostly grooving yet. Two Natsume releases, Gabrielle's Ghostly Groove and Harvest Moon: Tale of Two Towns, were delayed due to the lackluster early sales of the 3DS, according to a Natsume representative. Gabrielle's Ghostly Groove came out in Japan in July, and is ready to be released in North America. However, it was pushed back to an October release, primarily because of system sales, but also because of the game's Halloween-esque setting. The 3DS port of the next portable Harvest Moon game is oddly a western exclusive. The upcoming 3DS release of Harvest Moon: Tale of Two Towns is only coming to North America and Europe, a representative from Natsume told us. 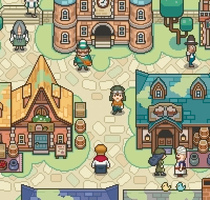 The game, originally made for DS, came out in July 2010 in Japan. The DS version is coming over to North America on September 20, while the 3DS version, a 3D-enhanced port of the other version, is due out in October. The European release date for the game has not been announced.